automate your android mobile apps and save your testing hours. I will cover appium with python client and for android only. Appium is an open source test automation framework for use with native, hybrid and mobile web apps.It drives iOS and Android apps using the WebDriver protocol. Here is the basic architecture of Appium , How it interact with Android / ios client. Please install these basic requirements that are import run Python client in Appium. Installing Selenium and Python Appium client. Android SDK install latest(Added to Path). unittest /nose module of python. Make sure you set up environment variables correctly before executing any script. 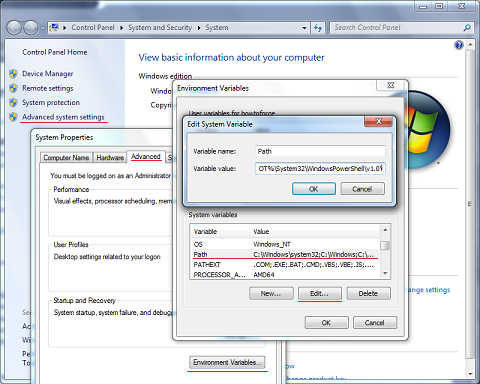 All these variables should be set under ‘System variables’ not in ‘User variables’. Make sure you have pip install on windows(Check out my other post how you can do this). Now you are ready to write your first Test case using python client in Appium. In the next blog We will write a basic test program that open a App and Do certain task and close it after. Please comment down if you face any issue or need help.